Our number one goal is to offer the very best ice fishing tackle in the world, while helping you remain competitive in the marketplace. Our wholesale buying discount program has been developed to achieve maximum volume and high profits. If you have any questions about our product line or discount program terms, please let us know. We are open Monday – Friday. All consumers should return the product to the store where they made the purchase. All retailers/dealers should contact their buyer or sale representative for return procedures. 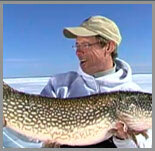 Our number one goal is to offer the very best ice fishing gear in the world. If you have any questions about our product line, please let us know. We are open Monday – Friday. Click here for more information on Polar Fire power auger warranties.